This adorable 2Br, 1Ba cottage has new laminate flooring & freshly painted bedrooms. 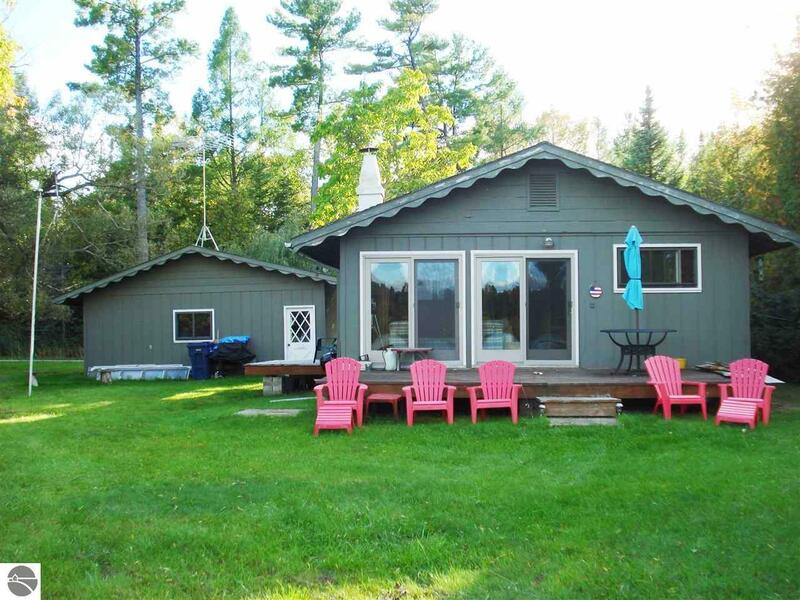 Boat the entire "Lower Chain of Lakes", Torch, Elk, Clam, Skegemog & Bellaire right from your very own private dock on 153' of private Clam Lake frontage! Located on a dead end street with little to no traffic at all! Loons, Eagles and world class fishing are right out your front door! The perfect place to get away from it all! Great rental history. 2018 summer rentals must be honored. Bedroom 1 Size: 11'3" x 9'8"
Br2 Size: 11'10 x 9'8"
Kit Size: 13'3" x 9'10"
Liv Rm Size: 13'7" x 21'4"